Secure elections and more efficient government services stand as the main benefits of expanding the scope of national digital ID programs, according to Toomas Hendrik Ilves, the former president of Estonia, a country whose Estonian digital ID initiative is the envy of much of the world. Ilves, who served from 2006 until 2016, told attendees at the Brain Bar Budapest tech festival that every European country should adopt government-issued national digital IDs. “Digital IDs are the key because the whole theft of identity is the central issue,” he said in a recent follow-up interview with TNW. You need a sovereign to do it. Of course you can have a company that guarantees your identity, but what guarantees the company? He used recent attacks upon electoral machinery and parties as a reason for more countries to create national digital ID programs, which essentially strengthen the fences that surround and protect those vital functions. That’s not the only reason for having a robust national digital ID program: Government services are more efficient with such technology in place, he said. Easily authenticating identity and more efficiently communicating with government departments are among the benefits that national digital ID programs provide. Accessing bank accounts and buying products online also become less cumbersome. 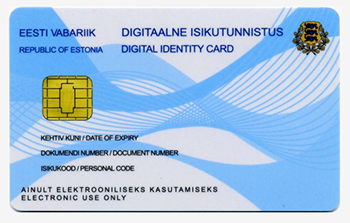 Describing Estonian national digital ID card initiative, former President Ilves says there are always early adopters, perhaps 15 percent, but governments and companies will not develop services for only 15 percent of the population. Thus you need to strive for mass adoption.